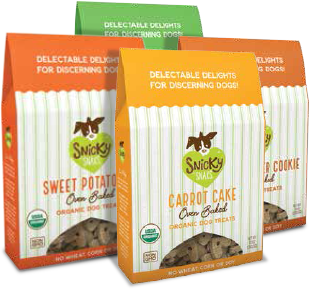 Snicky Snaks – All-natural, oven-baked treats for dogs! 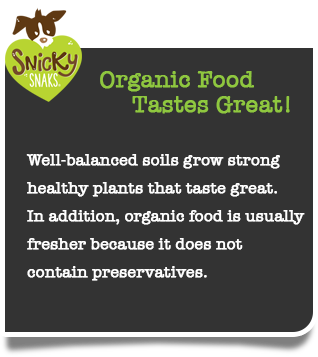 At Snicky Snaks we start with only high quality ingredients. 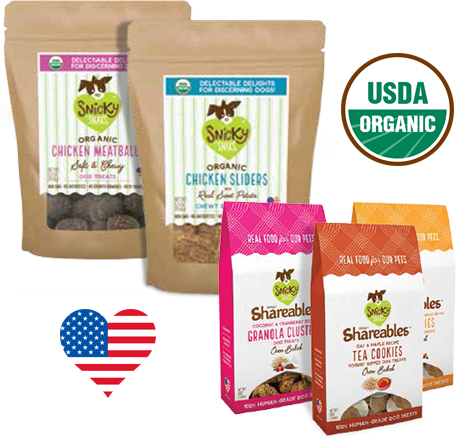 All ingredients are sourced and made in the USA and 100% USDA Organic certified. 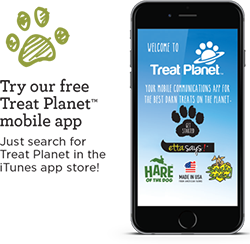 Our treats are made with REAL fruits and vegetables, grown without the use of pesticides, synthetic fertilizers, or GMO’s. No Sugar, Salt, Preservatives, Artificial Colors or Flavors. Organic foods do not contain chemicals such as fungicides, herbicides, and insecticides. These chemicals are widely used in conventional agriculture where residues remain on (and in) the food. Organic foods are also not genetically modified (non-GMO). Organic farming practices reduce pollution (air, water, soil), conserve water, increase soil fertility, and use less energy. 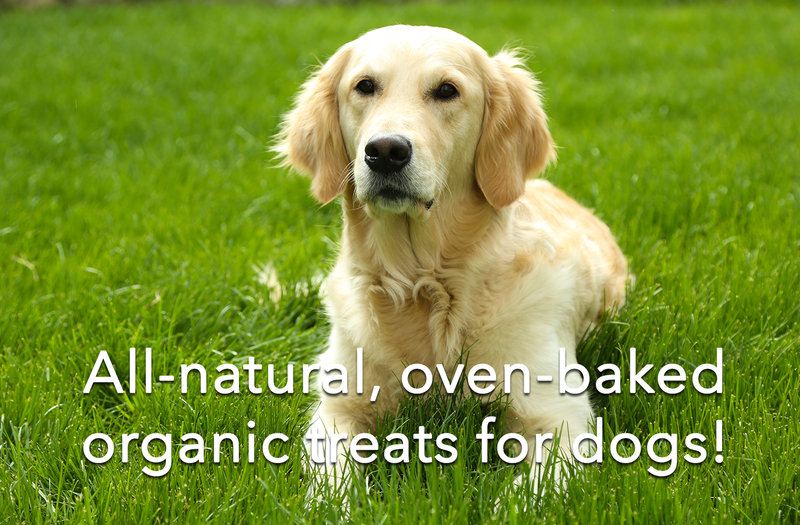 We only use eggs and milk from organically certified sources – they care for their animals. These animals are NOT given antibiotics, growth hormones, or fed animal byproducts. 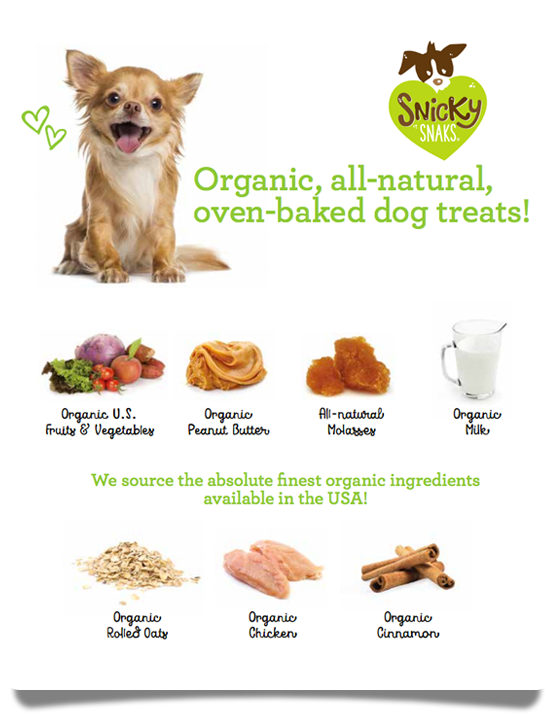 At Snicky Snaks we source the absolute finest organic ingredients available in the USA! 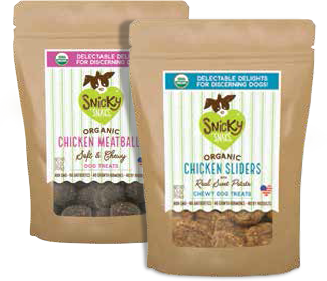 We invite you to browse our complete line of Snicky Snaks products below! 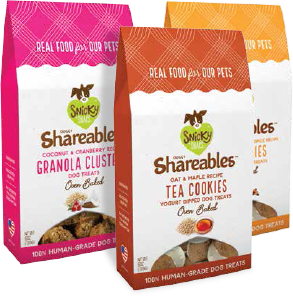 100% Human-Grade treats for the pickiest of dogs and dog parents! Our ingredients have a guarantee of no antibiotics, GMOs, growth hormones or animal by products, and are made with real meat! 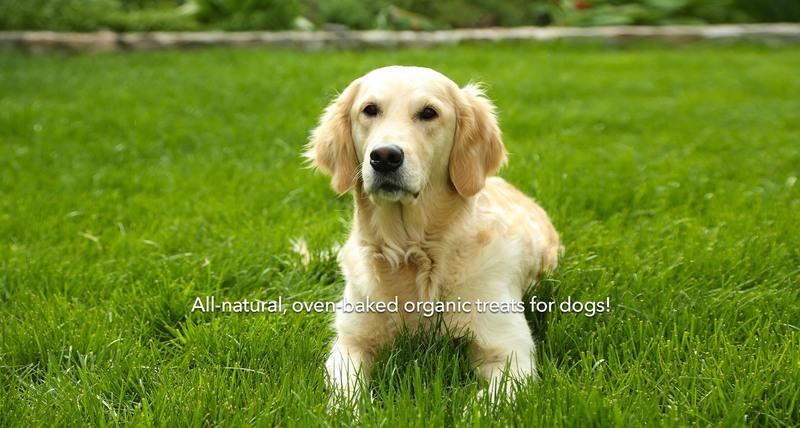 Our organic boxed treats are wheat, corn and soy free with no sugar, salt, preservatives, artificial colors or flavors. 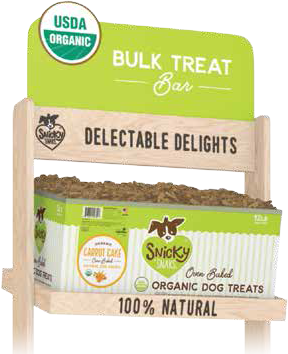 Bulk treats designed to allow you to sample your favorite organic treats in the quantity that you desire.